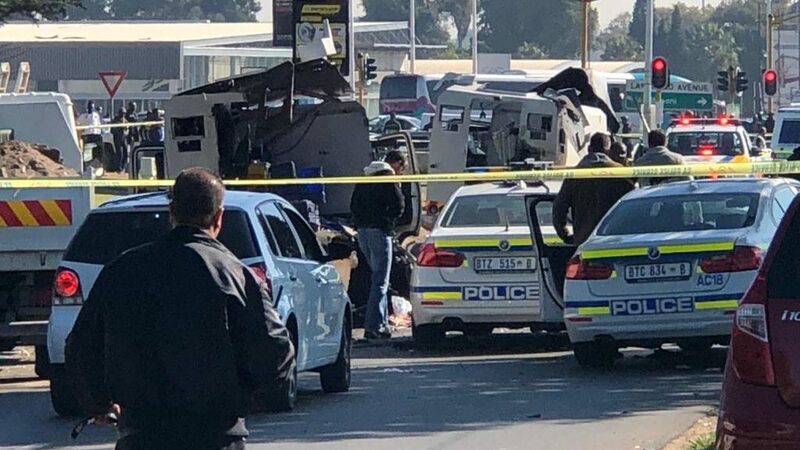 JOHANNESBURG – Thursday morning at 9.30 am, a motorist recorded a shootout, which occurred when several gunmen wielding rifles exchanged fire with G4S security during a cash-in-transit heist. The gangsters were travelling in an SUV and other vehicles. The gang bombed two cash vehicles that were making their way to a bank from their depot in Kempton Park, which ended up in a brazen shoot-out in broad-daylight at the George Gogh Hostel between police and the gangsters. The gangsters sealed off a block in the suburb of Boksburg, east of Johannesburg’s commercial center, before calmly detonating explosives under the cash vans. “Two cash armored vehicles en route from a depot to a bank in Kempton Park were confronted by about four vehicles with a group of heavily armed suspects. A brief shoot-out ensued and the security guards were injured in the resultant skirmish. The security were then disarmed and both the trucks were damaged with explosives. The suspects then fled the scene with undisclosed amount of money,” said spokesman Captain Ndivhuwo Mulamu. These guys are professionals, not minor leaguers. South Africa is currently experiencing a surge of cash-in-transit heists and this event is not anomaly. The incident looked like the shootout scene in “Heat” (1995) starring Robert De Niro, Al Pacino, and Val Kilmer with the Mbaqanga favor. “They shot at the two G4S vans and then there was an exchange of fire between them and the security officers. Two security officers were shot in the process,” Police spokesperson Captain Mavela Masondo said. “We also recovered a rifle after the cash-in-transit heist which happened at about 9.30am. It is alleged that more than 10 suspects who were driving in four vehicles approached two G4S security vans‚” said Masondo. Another witness said some of the gangsters drove off in an Audi A4, which was believed to have been used as a getaway vehicle. “The security officer fired a shot at the suspects as they were escaping.” Masondo said. Authorities have not disclosed how much money was stolen. 5 of the Gangsters where captured, Paul Sibanda, 28; Thato Gaopantwe, 26; Colin Hadebe, 42; Sibusiso Khumalo, 34; and Thabo Molefe, 32. The five arrested appeared in the Boksburg Magistrate’s Court on Monday. Today is day 23 of the 30 day campaign known as Operation Black-Balled! I’m around $700 short of reaching my go fund me goal. 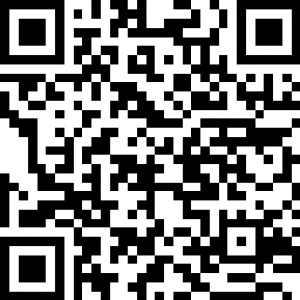 If everybody chipped in a little bit it would mean a lot to me and my work. Thank you to everybody is already donated. I will write an article every day until June, to advertise my gofundme goal. Please consider supporting me on PayPalhttps://www.paypal.me/RollieQuaid, sending me sources or atleast advertising my work. I want to buy a computer to produce better articles, and do a Friday show on YouTube live.Visit me at www.rolliequaid.com. This topic of shoot outs in South Africa is new to me. Sinead McCarthy (not associated with Renegade anymore) has made “Between Heaven And Hell: The True Story of Whites in South Africa,” which is a great documentary about white plight in South Africa. If you have any sources of Gang culture or money heists of this magnitude in South Africa, please send them to me 3301×3301@gmail.com. Pingback: ANC Member Arrested For Being A Hired Gun In A Cash-in-Transit Heist.